Ultron Systems' Antistatic UV Adhesive Plastic Films are the best choice when your process requirements are most demanding. For static-selective devices, do not let ESD become a process variable. The Antistatic layer dissipates negative charge build-up, typically resulting from removal of the protective backing film from the adhesive/base film, or during wafer mounting, sawing, etc. Additionally, the Antistatic UV Adhesive Plastic Film series share the same benefits as our standard UV films. Ultron Systems' Silicone-Free Adhesive Plastic Films contain absolutely NO silicone release agents, resulting in a much cleaner process and more consistent adhesive properties. They share both the same linear elongation properties and uniformity of base film as well as adhesive properties similar to our other film lines. 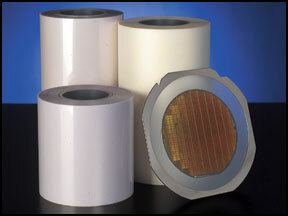 Ultron Systems' UV Adhesive Plastic Films have the advantage of high adhesive strength -- for the securing of wafers/substrates during sawing -- which becomes significantly reduced after UV light exposure, to facilitate die removal. 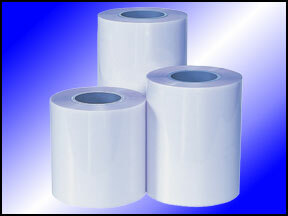 This tape provides an ideal media for thin wafer dicing, followed by gentle die removal. 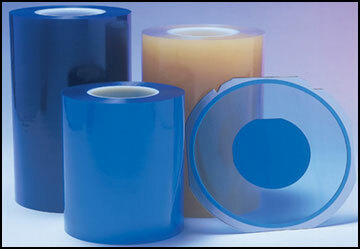 We are proud to offer the widest selection of UV film available to meet even your most stringent process requirements.